[HERE] is hosting some fantastic new art works on Floor 2, by Bristol-based artist Lee Ellis. Lee is a multi-media artist with an insatiable desire to create. This brings him to embrace different artistic mediums, from printmaking to drawing and painting. 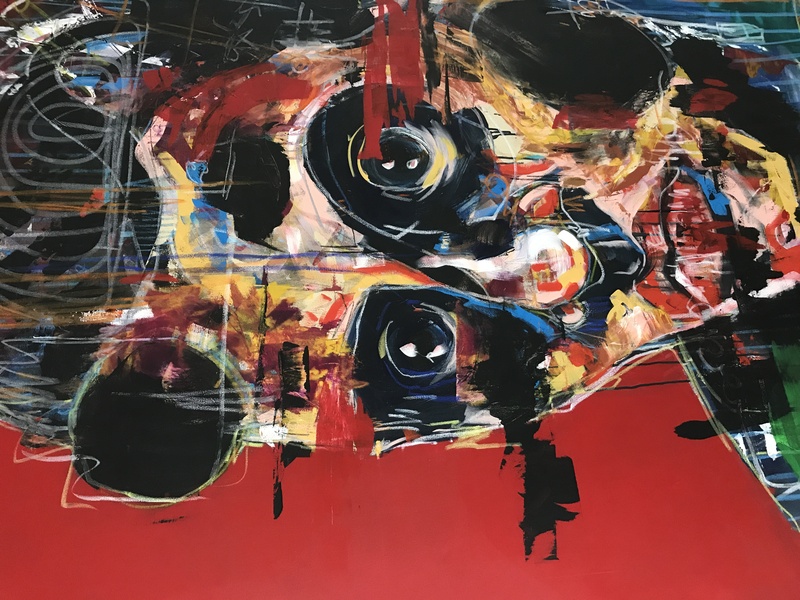 The artist has an expressive and bold style, immediately striking with his unusual juxtaposition of bright colours and dark subjects. Lee’s paintings in particular convey an emotional and visceral angst within his figures. From humans to animals, the artist never fails to depict the inner turmoil of his characters. He achieves this effect by employing heavy, raw and expressive brushstrokes that make his painting style poignant and immediately affecting. Lee graduated from the University of the West of England, where he studied graphic design in 2006. Wanting something separate from the world of graphic design, he unleashed his artistic expression with abstract painting, developing, over the years, a personal and distinctive style. Lee has exhibited wildly across the UK from 2007 until now, both in solo and group exhibitions, including Black Rats Projects in Soho. He has recently exhibited at Leontia Gallery in London. His work is collected internationally.